I love hostels. 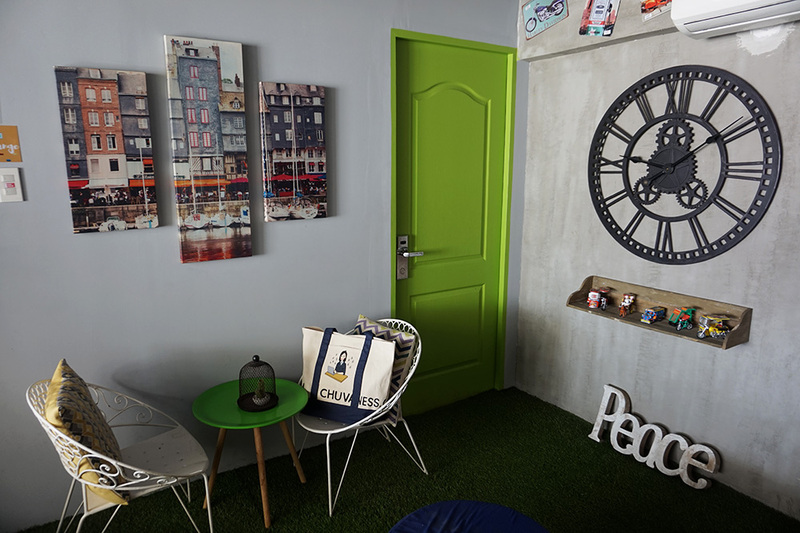 It’s an affordable way to travel and stay in cozy spaces that give you the opportunity to meet like-minded people. In 2013, I went on a solo trip to Hong Kong and stayed in Yes Inn in Causeway Bay (roughly P800 a night in the city whose shopping areas have the most expensive rent in the world). Last week, I stayed in the Vietnam Backpackers Hostel in Hanoi (roughly P1,000 a night for a spacious private room). 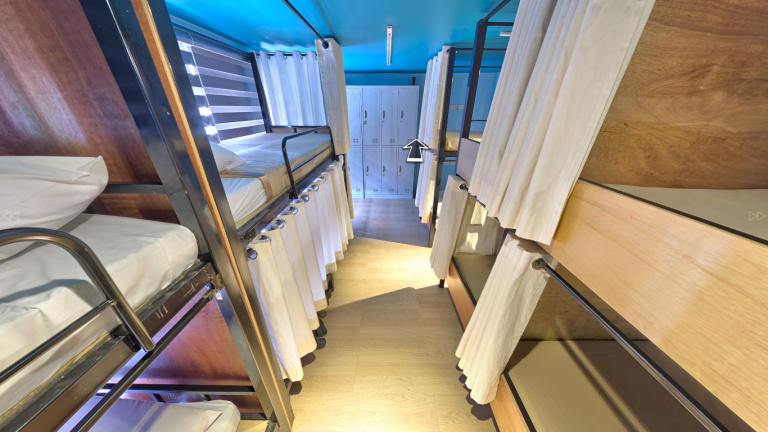 Yes, hostels are now my go-to choice for traveling for their affordability and character. Hostel culture in the Philippines is not that strong. Strange, considering the country is now in the spotlight for its achievements in tourism, film, music, and other fields. The “It’s More Fun in the Philippines” campaign was incredibly effective, and sparked a continuous increase in the number of visitors since it kicked off in 2013. This year, the tourism website recorded 459,138 visitors compared to 323,725 for the same period in 2012. These should encourage those in the private sector to open more hostels at different price points. 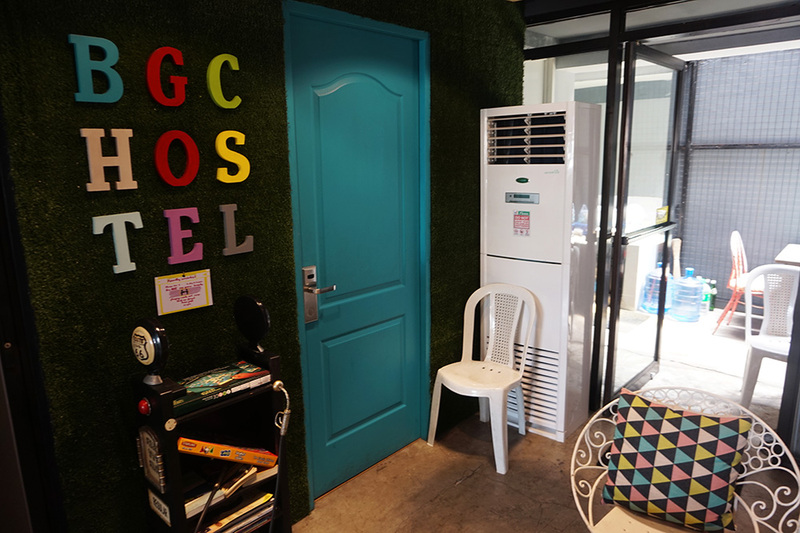 The people behind BGC Hostel is addressing this lack of hostels in Manila with their new space. They invited me to stay in one of their properties along EDSA, and I needed a break so I gamely said yes! And before you assume that BGC stands for Bonifacio Global City, it’s actually Be at your Greatest Comfort. Pretty clever! It’s located in Danlig Street, a quiet nook just after the Kalayaan Flyover if you’re coming from the south. 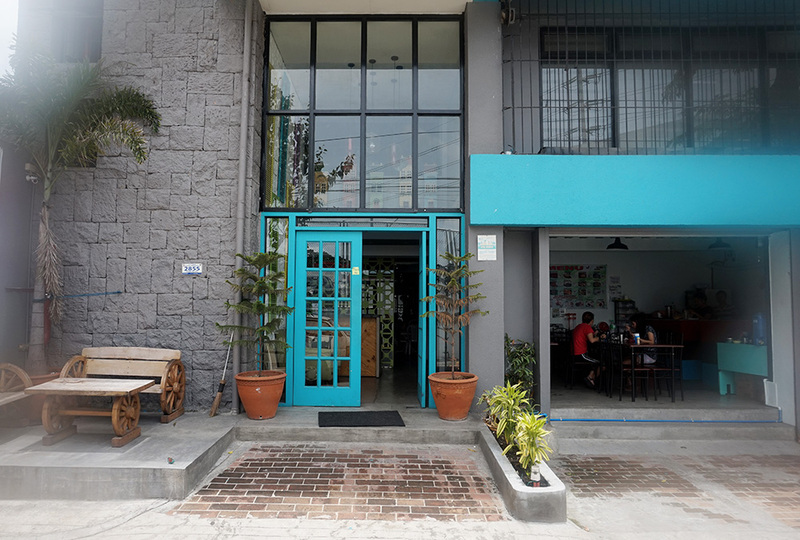 It’s also a few minutes away from the busy Guadalupe area, but Danlig is strangely quiet even if it’s just literally steps away from the main artery of Metro Manila. It’s the perfect venue for a relaxing stay. 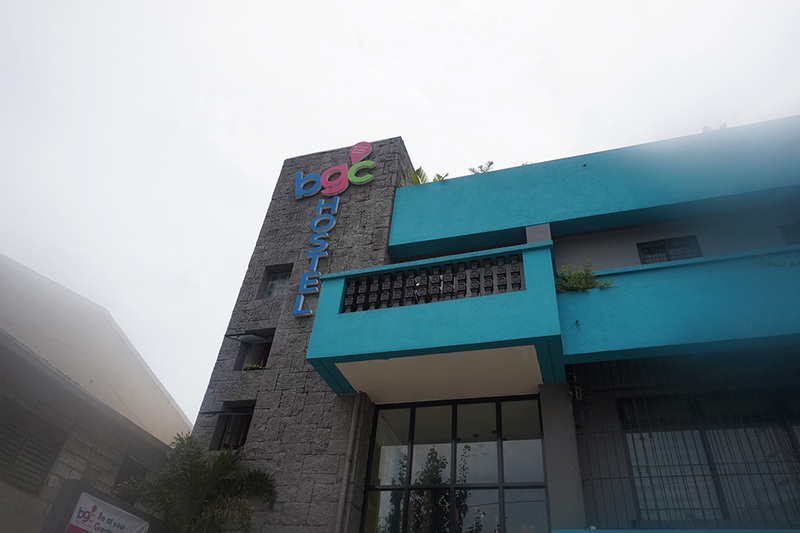 BGC Hostel is also a great jumping point for those who want to explore the capital. It’s 45 minutes away from the Ninoy Aquino International Airport (NAIA), and all the major malls are only a few roads away. 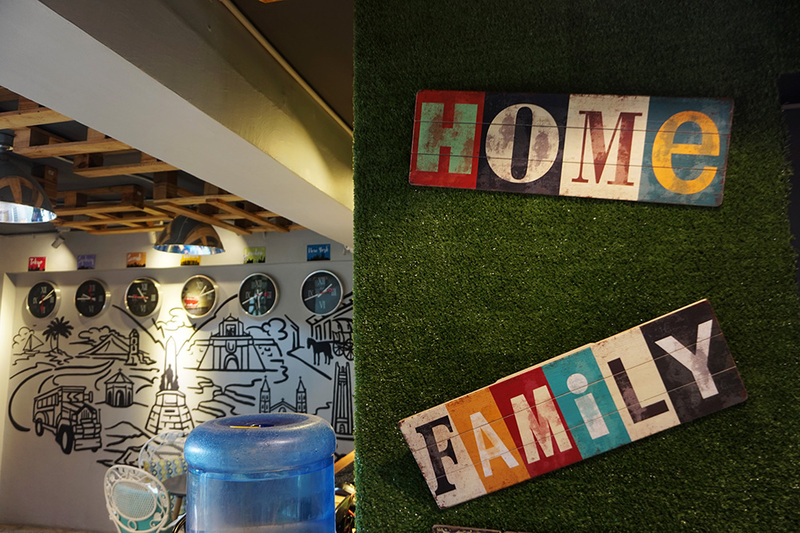 From the hostel, it’s easy to get to SM Megamall, Shangri-La Plaza, Glorietta and Greenbelt, Bonifacio High Street, and SM Mall of Asia. But because I was there to rest, I stayed in most of the time, only going out to go to the AsiaPOP Comicon at the SMX Convention Center. The hostel itself is intimate. 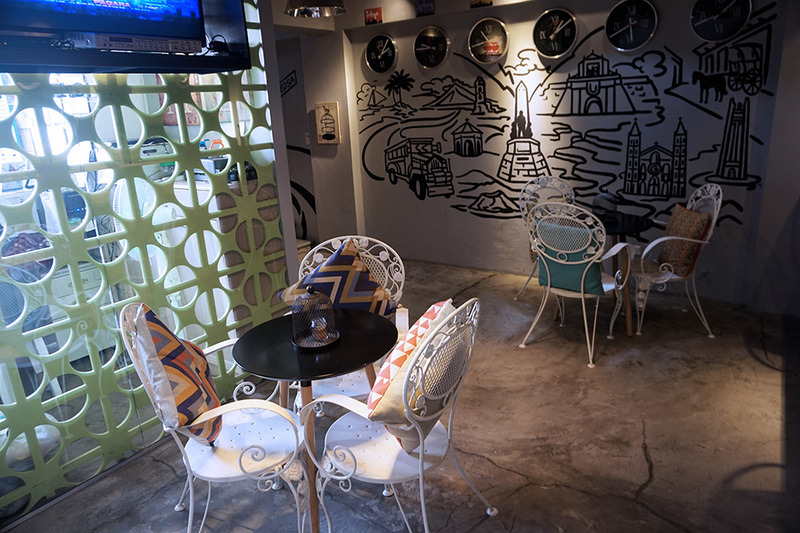 You enter a small reception area, and after you check in, you enter the visitors’ lounge dotted with sitting areas where you can talk to other guests, watch TV, play board or card games, or work. There’s even a workstation with two desktop computers. Beyond the lounge is the kitchen for meals. 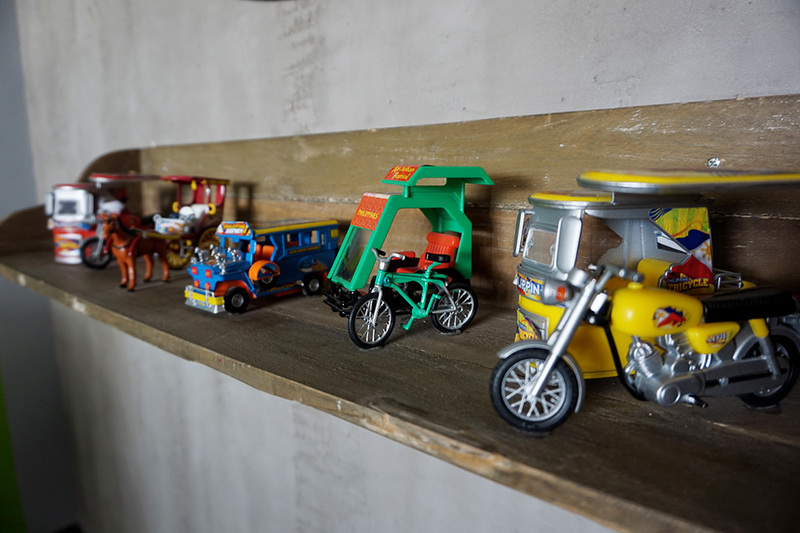 The decor is fun and quirky. Parts of the wall were covered with grass, and there was interesting wall art featuring Filipino landmarks. 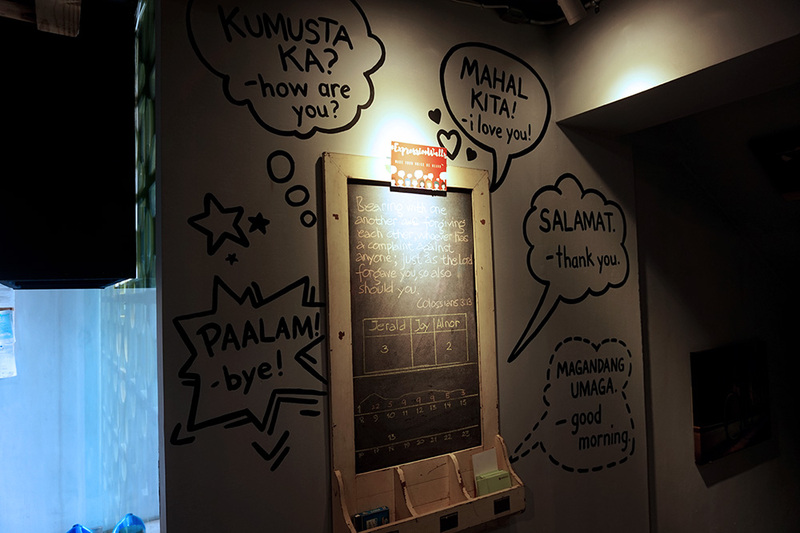 On another wall, foreigners can learn basic Filipino phrases. This is important as locals in countries I’ve visited seem pleased when I say hello and thank you in their native language. There were two dorms (one with four beds and the other with eight) downstairs, but they booked me in the private room upstairs. The second floor has a cute lounge with vintage art, a grass floor, a couch, and a table to hang out in. The private room is spartan in design. It had lime walls, a large bed, and a side table. It’s comfortable and the airconditioner is strong (just check out the fogginess of my exterior shots above), so I was happily cocooned for most of my stay. The minimalist design really encourages you to stay out and interact with people, but I wanted to catch up on work and reading, so I read Smaller and Smaller Circles and Sumpa. 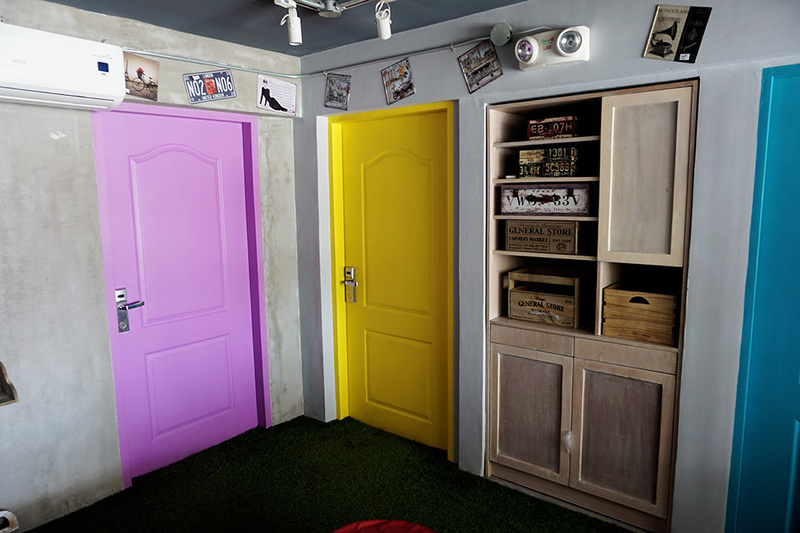 My only issue with BGC Hostel is that the bathroom for the private room is the common restroom downstairs. Each dorm has its own ensuite bathroom, but I have to go down every time I have to pee or take a shower. I enjoy long showers and I apply a ton of stuff on my face and body, so having an accessible bathroom is important to me. But the bathroom had both hot and cold water, so I was able to maximize all my showers. And besides, this is something BGC Hostel can’t fix as it’s an architectural issue, so it’s not that big of a deal. There weren’t that many guests at the time so I didn’t have to wait to use the shower. There aren’t any ATMs nearby (the one in Mercury Drug wasn’t working), so it’s important to stock on cash if you want to buy from Mercury Drug or the Ministop nearby. For meals, I highly recommend the mini-restaurant next to the hostel, which serves a really mean sizzling chicken. A cafe is soon to open in BGC Hostel, so I’m excited to see that, too. 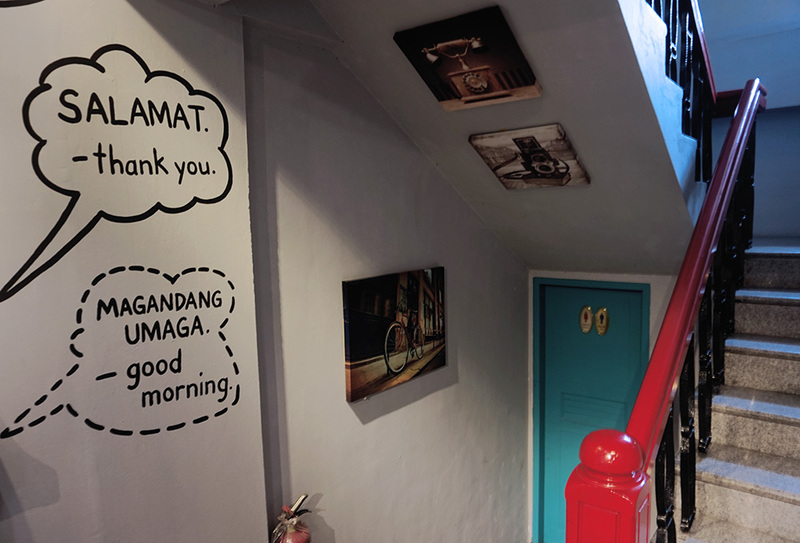 An overnight stay will cost P499 a night for one bed, and includes wi-fi, 24/7 security, airconditioning, laundry, shuttle service, lockers, an electrical outlet, and a reading lamp. Rooms come in four, eight, and 12 beds. The third floor has a ladies only room. Each room has its own two showers and toilet. 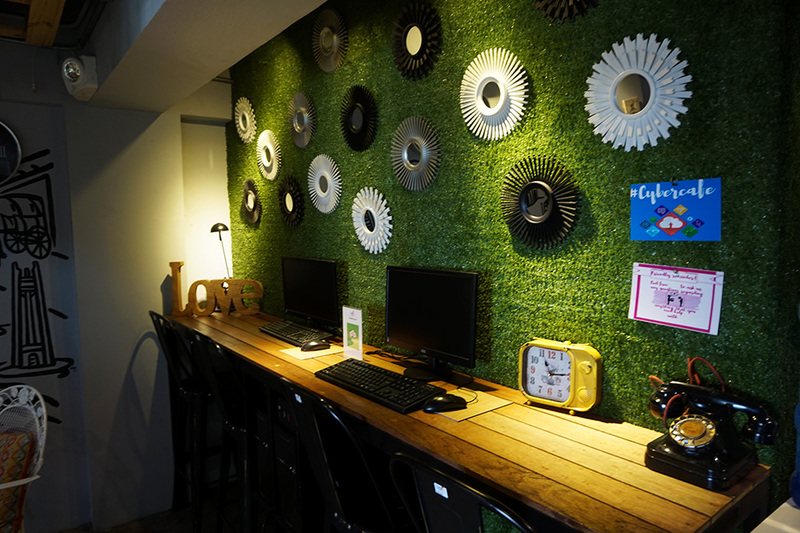 I would recommend BGC Hostel for travelers who want a no-frills yet cozy experience. 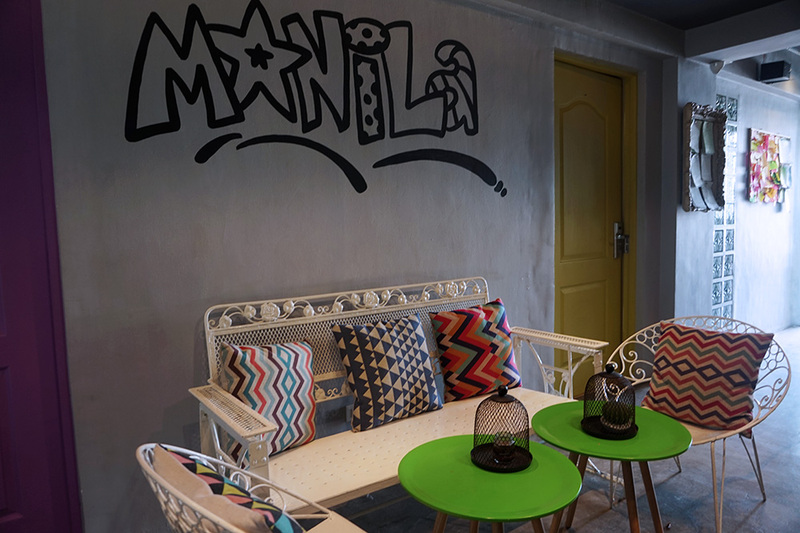 It’s also perfect for those who want to relax after a day of traveling around Manila for shopping and sightseeing. For bookings and more information, visit their website or contact them at (02) 8227514, 0932 8243243 or 0977 8223242. They also have branches in Vicente Cruz (Manila), Panay Avenue (Quezon City), Project 4 (Quezon City), and Malolos (Bulacan).